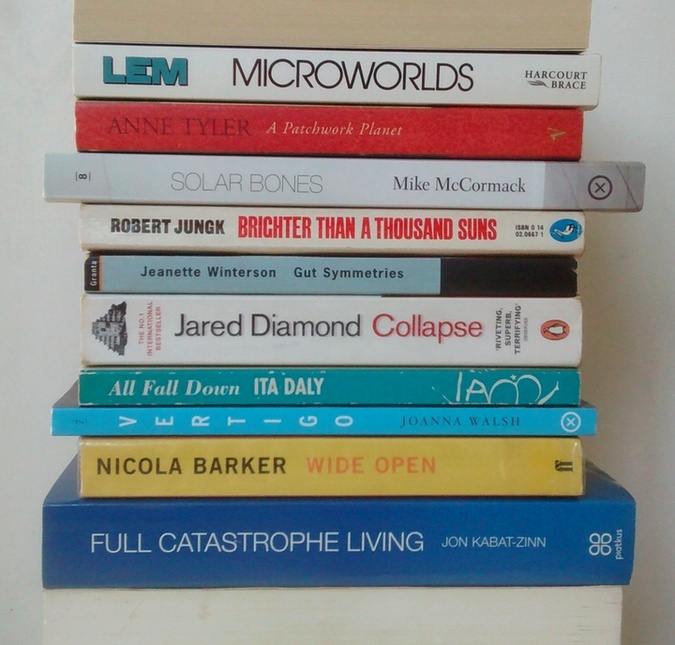 I almost forgot how much fun it is to make book spine poems. My last one was about a year ago (and led to an interview at the OED), so it’s about time I did another. This one tells a miniature story. The signal and the noise. Death in a white tie, a brilliant void. Some weeks ago I made a visual poem from book spines to mark the 90th anniversary of the first edition of the Oxford English Dictionary. The OED editors liked it enough to republish it on their website; they also asked me a few things about language, dictionaries, and book spine poetry. You can read my short interview on the new OED blog. If dictionaries and word history interest you, I recommend the rest of the blog – click the image below – which looks at the OED‘s reception in 1928, the work of editors past and present, and dialect words from around the world, among other things. 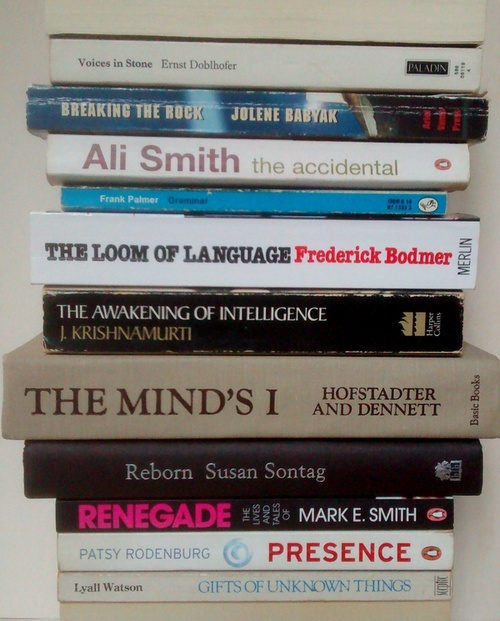 For more book spine poems, aka bookmashes, see the archive. It’s a few months since I made one of these. 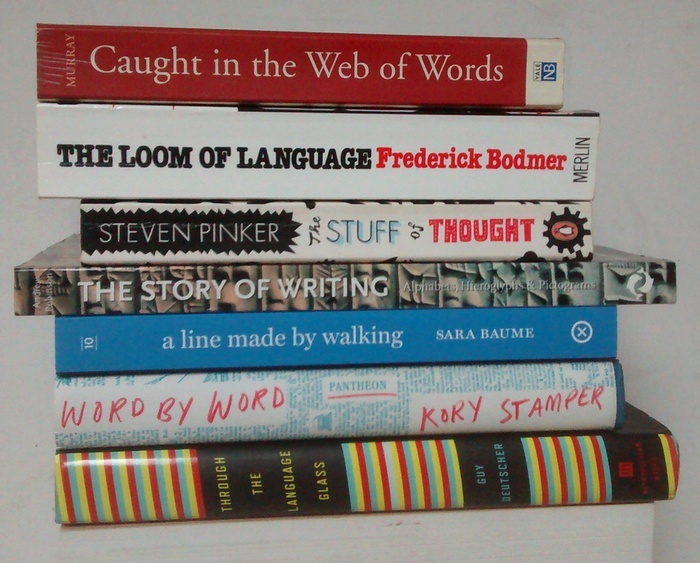 So: a new book spine poem. 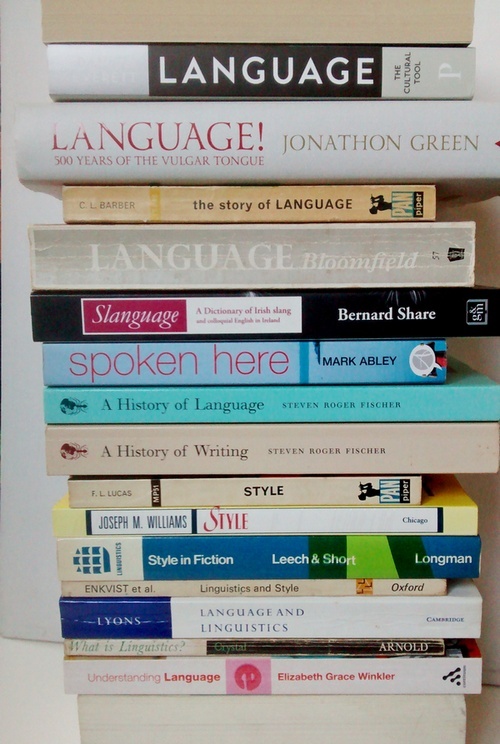 Book spine poem #39: Language, Language! My latest piece of doggerel in book-spine form has an obvious theme. 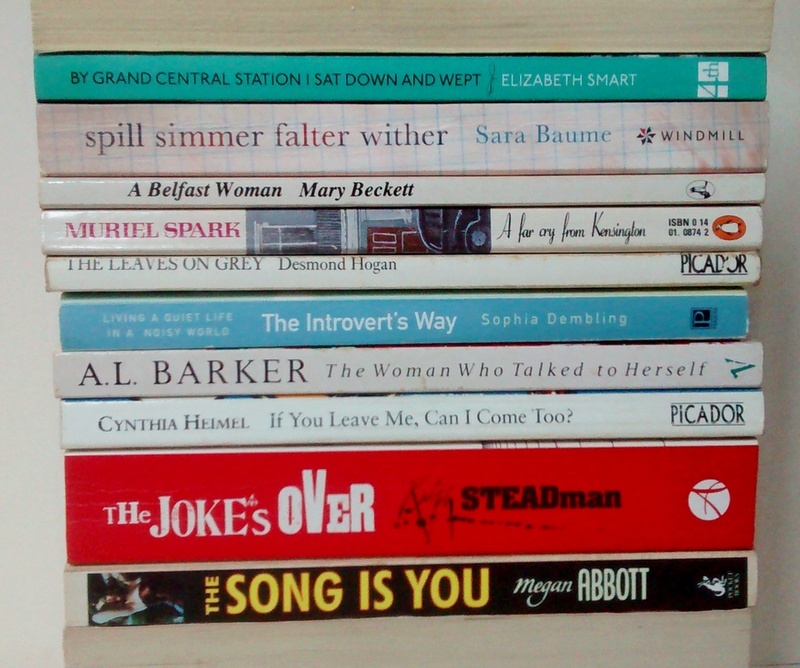 A new (and characteristically overdue) bookmash! 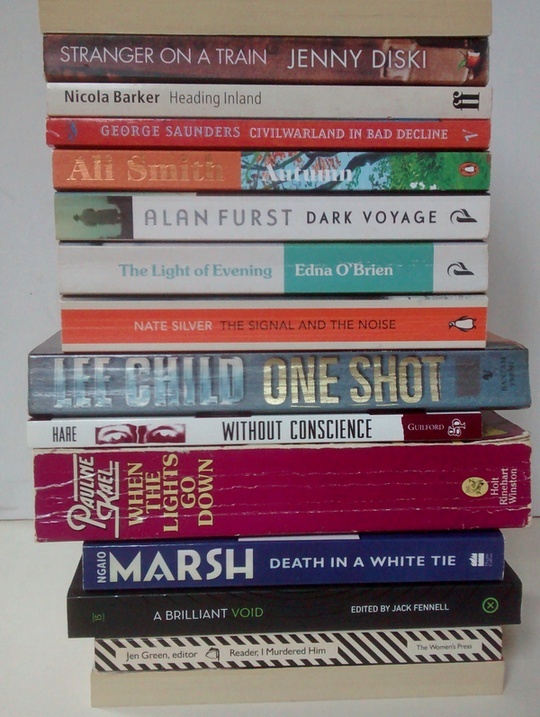 Also known as a book spine poem. Here goes.